eCompliance Management Solutions has partnered with Ontario’s Infrastructure Health and Safety Association (IHSA) to launch a health and safety program. IHSA My Health and Safety Program is designed to reduce the administrative burden of complying with changing provincial regulations. The program consists of two online products that can be used either individually or together. The first is a health and safety program essentials course that provides participants with the fundamentals of Ontario’s health and safety system so they can build and maintain a safety program in accordance with the legislation. The second component is the online health and safety management system. It helps companies effectively manage many health and safety functions from a centralized location. 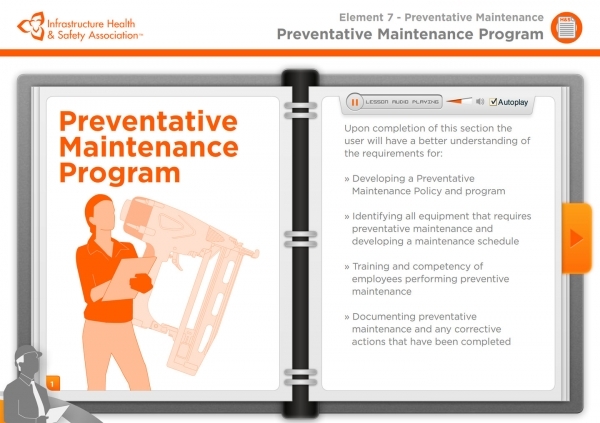 It includes a step-by-step process to build a program that is compliant with provincial requirements and provides companies with web-based tools to better manage recurring safety processes, such as: managing documents; addressing corrective actions; monitoring training requirements; and completing inspections on a mobile device. Because it is based on the 19 elements of the Certificate of Recognition (COR) program, the software can help companies organize their documentation for a COR audit. www.ecompliance.com.